Very happy to share my steampunk story, My Best Friend Julian, in Doctor Fantastique's Show of Wonders. It was originally published in Anthology of Steampunk (ed Tonia Brown, Sonar4, 2010) but as the anthology was a limited edition, this gets my story out to a wider audience. As I stated a short while ago, SQ Mag, who I have close association, wanted a steampunk story to add to a soft SP theme running in the 1 September 2012 issue, so I gladly obliged. After close consideration, the editor agreed to publishing it nine days after submission. This is my fourth steampunk story published, and there are two under consideration elsewhere in the market, so perhaps, one day, I will compile an anthology, or derive a novel from them – as most have some common threads. 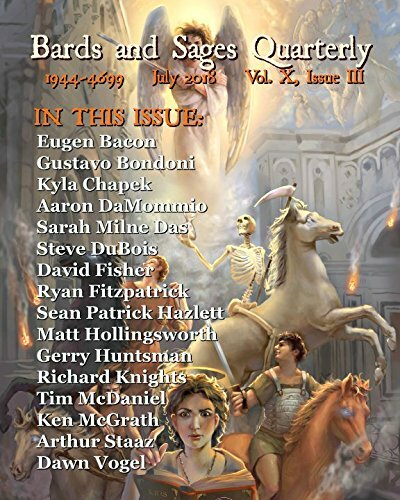 Another pleasure about this publication, is that I am sharing the same edition with other excellent writers, including the luminaries Jay Lake and Gary McMahon.